David Hilgers is a highly experienced practitioner who is sought out by healthcare providers for his expertise across healthcare, administrative and corporate issues. He attracts impressive praise among peers, who see him as "an outstanding lawyer" and go on to say: "He's an excellent lawyer who does a great job." With more than 40 years of experience, David has the extensive knowledge and determination to help clients face today’s complex issues in the healthcare arena. 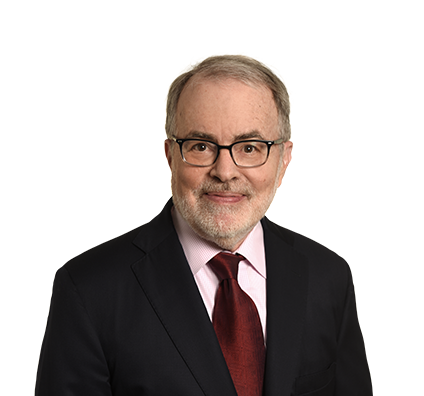 David counsels healthcare providers on all their corporate and administrative legal issues – from peer review to billing issues to regulatory compliance. With a steady hand, he guides clients in the integration of healthcare delivery systems, fraud and abuse investigations, self-referrals, licensing, provider contracts and privacy concerns. A special area of focus is handling transactions for physicians who are selling their medical groups. David’s clients are providers across the healthcare spectrum, including physicians, dentists, health systems, managed care organizations, long-term care facilities, multispecialty groups, hospitals, hospital districts and community mental health centers. David feels fortunate to represent people he genuinely likes. David is motivated by the unique nature of the constantly evolving healthcare industry. He enjoys the challenge of staying current with the issues that providers face and helping them navigate their way through any challenges. Prior to joining Husch Blackwell, David was Chair of Brown McCarroll. Advised clients on consequences of emerging state and federal regulation of fee-sharing, self-referral, antitrust risks and licensing of health maintenance organizations, home healthcare companies, nonprofit health organizations, physicians and other health professionals. Negotiated provider contracts, including global capitation contracts and development of managed Medicaid rollouts. 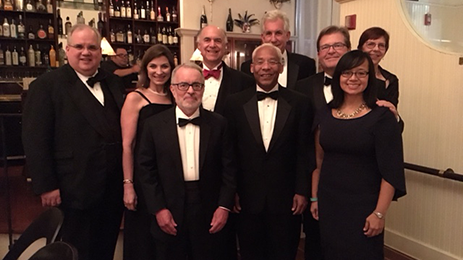 Organized independent practice associations throughout Texas that have included groups with as few as three to more than 250 physicians. Complex mergers, reorganizations, acquisitions and sale of physician practices were often involved. Formed types of managed care, fully integrated medical groups, physician practice management companies and management services organizations. Organized and structured ancillary service ventures, including imaging centers, ambulatory surgery centers and specialty hospitals. David has traveled to destinations across the globe. He has visited countries including Japan, Morocco, China, Mongolia and India and traveled throughout Europe and South America. But David’s favorite trip was to Kenya. He traveled with two families and a guide on an extensive tour of the beautiful country, including Samburu, Mount Kenya, the Great Rift Valley and Nairobi. 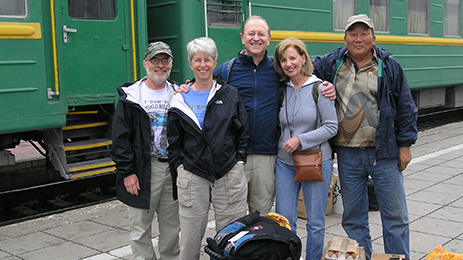 David travels with a group in Mongolia. David has worked with Legal Aid since 1988, helping with mergers within the Legal Aid organization, specifically in Travis County, Texas, and assuming executive roles within the national organization. He serves on the Standing Committee for Legal Aid & Indigent Defenders for the American Bar Association and on the Board of Directors for Texas Rio Grande Legal Aid.